Our organization is widely offers a Material handling Truck. These trucks are used at construction sites for the purpose of material handling. These trucks are made up of high quality of raw material which we procured from best vendors of the industry. 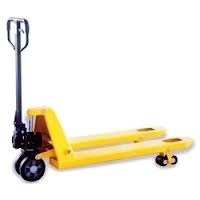 These material handling trucks are available at cost effective rates in the market. Looking for Material Handling Truck ?